What does it mean to “trust the bishop”? 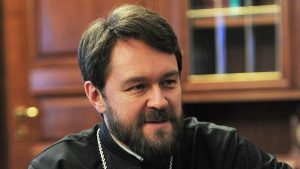 In Orthodoxy, the bishop is the central figure in the church. The priest is the bishop’s assistant, carrying out his will, and the people are told to follow and trust in the bishop. But we hardly know the bishop. He’ll never visit us often enough for us to develop any sense of trust based on personal interactions with him. And over the history of the church there have been some bishops who clearly were not trustworthy, in that they stole or mismanaged money, committed serious sins, or led their flocks into error. So when someone tells us to “trust our bishops”, what should we do? How can we trust them when we don’t have the first idea who they are? Obviously, a particular person’s experience of their bishop will vary. If you were a member of a cathedral parish, you probably would get to know the bishop very well, even as a layman. 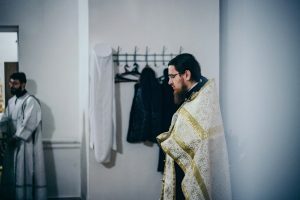 But given the numbers of Orthodox Christians in the United States, there are going to be large areas of the country that are not close to such cathedrals. Fortunately, in the case of our parish, even though our bishop’s cathedral is just a bit more than a thousand miles away from our parish, we have seen him visit our parish at least once each year, and he comes to our area a few more times a year on average… and so we do get a chance to hear him preach, and for him to visit with people after the services. There are dioceses in which parishes almost never see their bishops, unfortunately. “Remember them which have the rule over you, who have spoken unto you the word of God: whose faith follow, considering the end of their conduct…. Obey them that have the rule over you, and submit yourselves: for they watch for your souls, as they that must give account, that they may do it with joy, and not with grief: for that is unprofitable for you” (Hebrews 13:7,17). St. Paul also says of himself, “Be ye followers of me, even as I also am of Christ” (1 Corinthians 11:1). We should imitate our leaders, as they follow Christ. If we see something in them that is not in accordance with Christ, we should not imitate them in that. But even if we find that they fall far short of being the kind of Christian that they should be, we still must pray for them, and obey them, unless they ask us to do something that is evil. If we have a good bishop, we should thank God. If we have a bishop who is not so good, we should pray that God would make him better. Because the Bishop cannot be in every parish in a given diocese, we have priests and deacons, who are the extension of the bishop’s ministry. One of the biggest responsibilities of a bishop is to be a pastor to the pastors of his diocese. 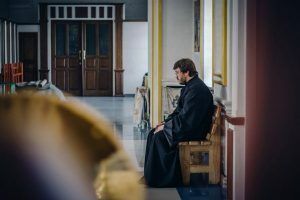 By guiding his priests and deacons, the bishop is able, through them, to guide the people in his diocese, when he is not there to do so directly, in person. It should also be pointed out that the people also have a role in guiding the diocese, and assisting the bishop. 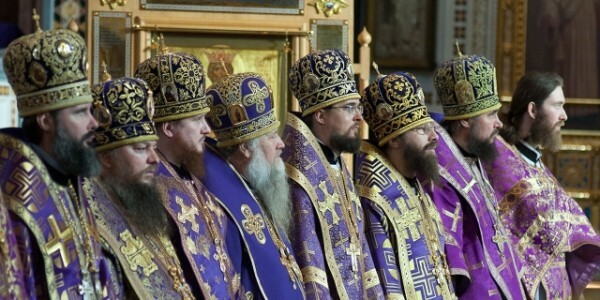 They do this by their work in their local parish, by their attendance at general parish meetings; and they also do this through their representatives on the parish council, and through their delegates to diocesan assemblies, All-Diaspora Councils, and at All-Russian Councils. In this way, the people ensure that the finances, and organizations of their parish, and their diocese are managed in a transparent and appropriate manner. We tend to get the leadership we deserve, and so if things are not being run well, we probably need to roll up our own sleeves and get to work at helping to fix those problems — and the more we do that, the better we will see things being run.